Nick Bolton is currently undertaking a Masters in Screen Arts and Business at AFTRS (the Australian Film, Television and Radio School). An award winning All-Media Producer and Strategic thinker in the digital and online video space, consulting for corporate and government organisations, with an entrepreneurial nature and proven business management experience. After graduating in Marketing in 1995, Nick spent 4 years in healthcare advertising in London, before emigrating to Sydney as Account Director for Ogilvy Interactive, working on early digital projects for Qantas, IBM and Kimberly Clark. After a successful pilot involving the live streaming of medical operations for Johnson & Johnson, a passion for online video was born. Nick set up his own boutique webcasting business in 2003, merging with Viocorp in 2005 when they were but just 3 people, and now employs 70 people across four offices and annual revenues of $10m. During this time, Nick was primarily engaged in sales and marketing, and productions of live webcast and creative content. In 2006, he conceived, and launched the online short film portal Nice Shorts. In August 2009, Nick moved temporarily to Melbourne to set up the Victorian office as General Manager. As the business became technologically focussed, Nick left to start his own All Media production company TEN ALPHAS, and remains a shareholder and consultant to Viocorp. Nick consults to corporate and government organisations on delivering video content online, and has produced hundreds of projects over the last decade. Highlights include the first live streams of Australian content into YouTube (eg the world record breaking YouTube Symphony) and Facebook, managing the first live stream fromThe Vatican, and has developed numerous WebTV portals and online video campaigns, winning awards in Australia and overseas. Nick has sat on the committee for the Australian Interactive Multimedia Industry Association, and speaks regularly at industry events. He is regularly asked to judge Digital Industry awards such as the ATOM Awards, AIMIA Awards, and the Mobile Awards. An Actor / Presenter, Producer and Director telling stories in film and theatre. Nick has trained at Darlo Drama, NIDA Short Courses and AFTRS Open Courses in multiple disciplines. TV Commercials: Old Spice, Altium, Sealys Beds, Harvey Norman, Arnotts, Sprite. Full length theatre acting credits: The Rise and Fall of Little Voice, Calendar Girls, Shots, Proof, Inheritance, Love Puke, Blood Brothers, Lady Windermere’s Fan, and Inheritance as well as too many short pieces to mention. Short films acting credits: Life (Lucky Film Festival Best Actor, 2013), Sidekick, The Bolt (In the Bin 2008 Best Actor),Love your Thumbs (SONY PSP 2007 winner) and Bird Flew. Nick has either directed and/or produced over 15 short films (including the ones mentioned above), plus My Brother Andy (Finalist, St Kilda Film Festival 2012), Dreams of Evolution (Finalist, 2012 Queensland Poetry Film Festival). 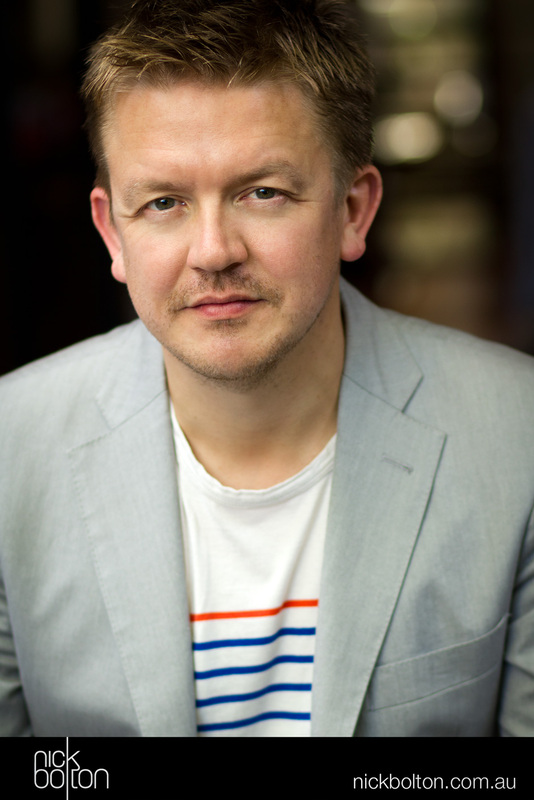 For the theatre, Nick has produced many shows most notably Bondi Dreaming in 2008 and again in 2009 as the winner of BITE – Best in Independent Theatre. After being selected as the MUST SEE play in the 2010 National Playwriting Festival, up by Tamarama Rock Surfers. Other shows include The Journey into Sin (2007), Crime Scenes (2009), I wanna sleep with Tom Stoppard (August 2012) and The Interview (October 2012) both forTamarama Rock Surfers. In April 2013, Nick won the NIDA Independent Producer Program competition and saw his new work SET the playrun at NIDA Parade Studios for four weeks. Nick has provided All Media or cross platform producing services on feature films KickAss, The Reef, and 10 Canoes.